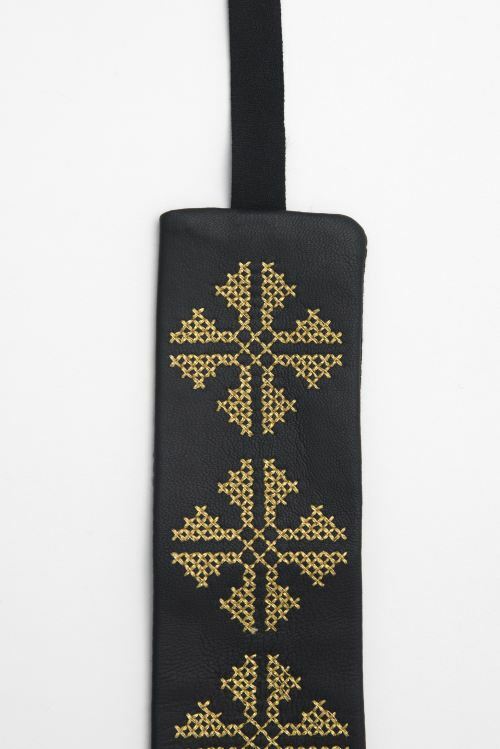 Natural leather belt featured with traditional motifs embroidery. 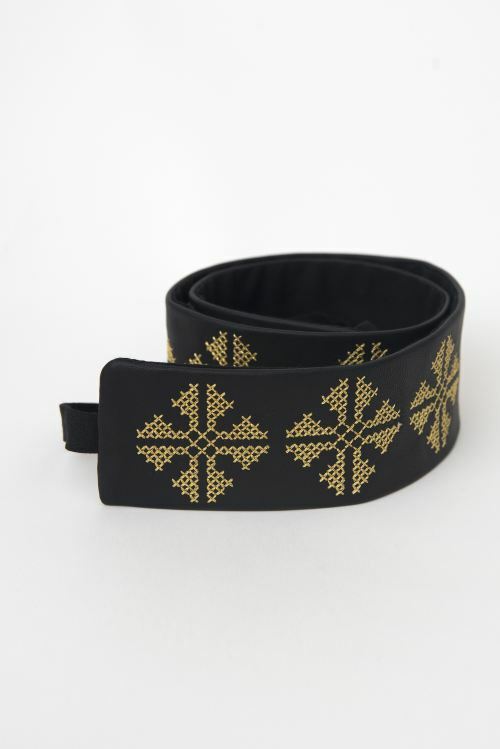 The modern version of this belt was inspired by ancient Romanian belt as a part of the costume. The embroidery is crafted with metal golden threads, can be customized upon request.